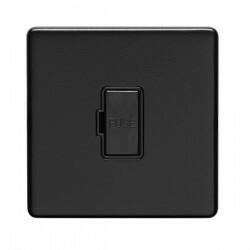 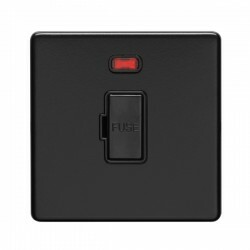 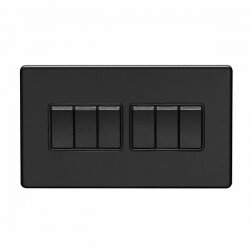 Eurolite Concealed Fix Flat Plate Matt Black 2 Gang 45A Double Pole Switch and 13A Switched Socket at UK Electrical Supplies. 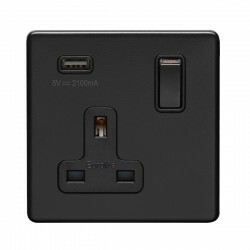 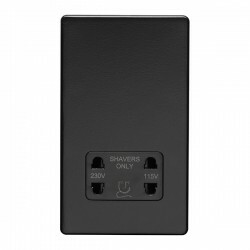 This 2 Gang 45A Double Pole Switch and 13A Switched Socket (ECMB45ASWAS B) is part of Eurolite’s Matt Black range, a versatile collection of wiring accessories with subtly curved corners and smooth concealed fixings. These discreet flat plate switches & sockets complement both commercial and domestic settings. The Matt Black 45A Double Pole Switch is ideal for controlling cookers, while its 13A Switched Socket can accommodate a variety of kitchen appliances. 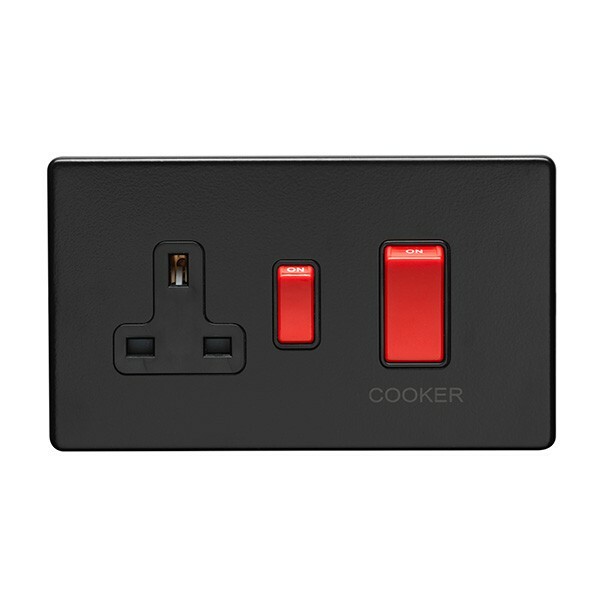 Both feature bold red rockers with on/off positions clearly labelled in white, so you can easily tell when it’s in use.